Online slot developer WMS Gaming has a habit of taking popular slots genres and releasing a slot that still manages to prove to be popular even though it appears to be nothing new at face value. We can look at a few examples including the fantasy-themed Fairy’s Fortune, the Amazon jungle-set Jungle Wild and the Greek mythology-inspired Zeus slot just to see how WMS Gaming seem to release top slot titles using unimaginative themes on a regular basis. Don't get me wrong, we shouldn't be complaining. I mean, themes are very important in slots but when the action on the reels is doing the hard work then the importance of the theme kind of does fade into the background. Zanzibar is another classic-in-the-making from WMS Gaming. 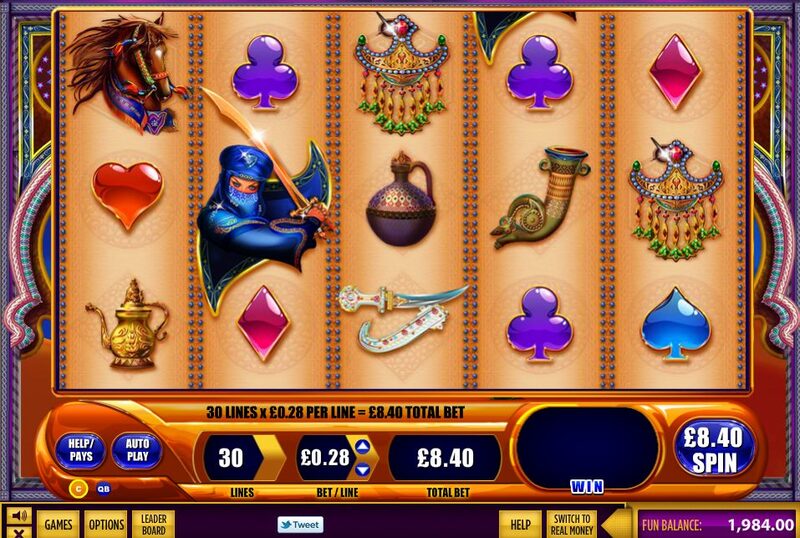 Its Arabic theme is something you will be familiar with if you have played other slots such as Barcrest’s understated Arabian Charms slot and NetEnt’s likeable slot Arabian Nights. For those of you that don't know, Zanzibar is a semi-autonomous territory of Tanzania in East Africa (closes Wikipedia). This 5 reel, 30 pay-line slot does not blow your mind with features or symbols but it offers enough in terms of excitement and gameplay to make you submit to its allure and keep coming back for more. The reels are packed with typically Arabian-themed symbols. There is an Arabic horse, a female burkha-clad Arabic warrior, Arabic jewellery and Arabic ornaments. The standard 9-through-to-Ace symbols are also presented in an Arabic style font. I will cut to the chase. This game is all about the free spins bonus round. You will need to hit three or more of the Free Spins Bonus symbols across the reels to trigger the bonus feature. If you hit three of these symbols to trigger the bonus feature then you will earn 10 free spins. 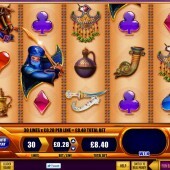 If you manage to get four symbols to trigger the bonus feature then you will win 20 free spins. If you have the fortune of hitting five symbols to trigger the bonus feature then you will be rewarded with a whopping 40 free spins. Every win during the free spins comes with a 2x multiplier as well. Now you can begin to see what all the fuss is about! There is also a Replicating Wild feature in Zanzibar. If the Sunset Palms symbol, represents the Wild, appears on reel 3 then a symbol that uses the Sunset Palms symbol to complete a winning combination will then be chosen to be replicated across the reels as a Wild opening up numerous possibilities for more winning combinations. Interestingly, this feature is available in the free spins bonus round as well as in regular gameplay. The win potential here really is enough to make you wet between the… well… you get the idea. Zanzibar is a game that did not really have me chomping at the bit to play but once I started to spin those reels I found it to be a thoroughly enjoyable slot. Yes, the theme is not going to set the slots world alight but the gameplay is some of the most intense spinning I’ve had on the reels. I’ve got a feeling this slot could be around and being played by slots players online for some years to come.